It's getting to be about that time, the time when the Wisconsin Badgers regular basketball season comes to a close. Don't miss your last opportunity to see the Badgers play at the Kohl Center this season. 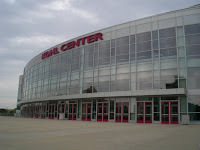 This Sunday, our Wisconsin Badgers host the Illinois Illini at the Kohl Center. Get your Wisconsin vs. Illinois tickets for Sunday's game while you still can. The Badgers basketball team claimed an exciting road win last Sunday at Ohio State, breaking a long standing streak of consecutive road losses to top-10 Big Ten opponents. Their win against Ohio State marked the first time since 1980 that the Badgers defeated a top-10 Big Ten team. Way to go, Badgers!